I've been doing a lot of secret sewing this past week. Lots and lots and lots of half square triangles to make. Work on my new Block of the Month is progressing, and I will be piecing the blocks very soon. It won't be long now until I can share all the goodness with you, and believe me, I can hardly wait. In the meantime, I'm also juggling the construction of several other new quilts. Do you do the same thing...work between several projects? I'm also hand sewing a couple of the wool projects I brought home with me from the cruise, and hope to share those as well. Nothing like relaxing with my family and hand sewing in the evening. Good livin'!! 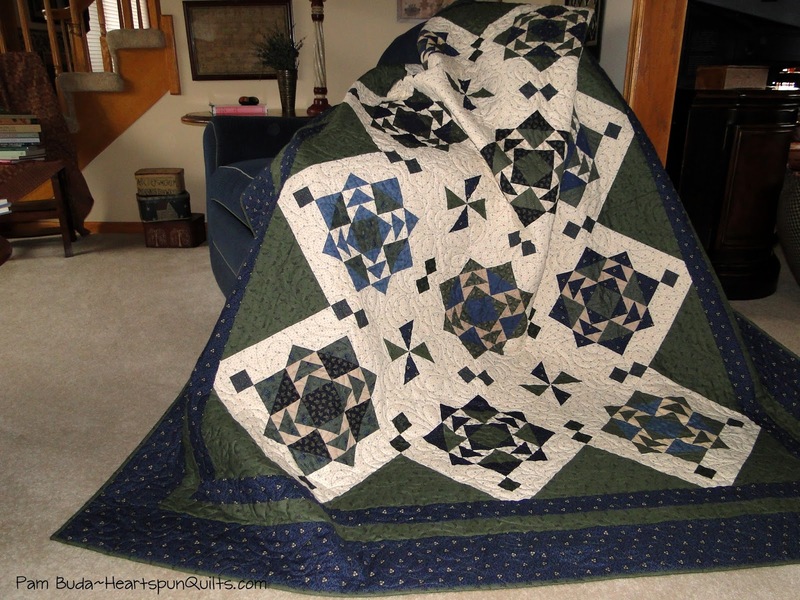 Tomorrow, I'm packing the car up to drive to the Indianapolis area for a big quilt festival, called the Indiana Heritage Quilt Show in Bloomington, IN. In addition to the quilt show, there's a vendor mall, and many workshop classes to take from national teachers. My dear pal, Lynne Hagmeier (Kansas Troubles Quilters) will be there, too. Click here to see the faculty roster and class list. If you're anywhere in the area, the show is most definitely worth checking out. The event takes place March 3, 4 & 5th. Hope to see you there! 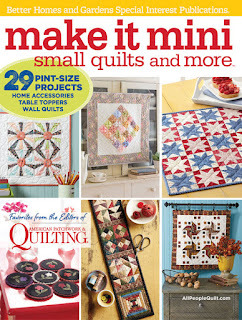 Wanna Make A Mini Quilt?? Oh I love when I get to tell you about something that's been in the works for a long time. Keeping secrets from you is hard, ya know. Last summer, the good folks at American Patchwork & Quilting magazine chose me to be one of the contributors in their newest special edition quilt magazine featuring nothing but mini quilts! 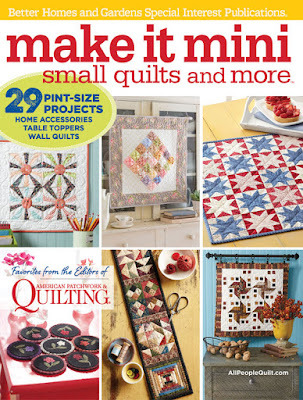 I've hardly been able to wait to get my copy and see all the quilt projects in this jam packed issue. The wait is over!!!!!!!!!!!!!! If you know me at all....you know how much I adore little quilts and small blocks!! No surprise...I jumped at the chance! Here's my teeny little table runner, called Little Bits. It was such fun to piece from scraps. There are 29 projects in the Make It Mini book, so you're sure to find a bunch that appeal to you. The newsstand date is March 1st, so be sure to pick one up at your local quilt shop or favorite newsstand. I am honored that my quilt was among those chosen for the cover. It's always a thrill. Back Home ~ Missing Warm Weather! I'm back home from a lovely trip to warm climates. Returning to our typical Chicago winter wasn't a terrible shock, but must say that I adjusted to the sunny 70's and 80's in about 2 seconds flat. My first stop was to visit the lovely ladies of the Country Road Quilters Guild in Ocala, Fl. A beautiful part of the county, it is home to a big thoroughbred horse community. Home, also, to a group of warm and friendly women I had the pleasure of meeting. I gave a lecture and workshop and spent two days with them. I am so very lucky to have this job to be able to spend time with quilters all over the country as they really are the best people! Now...did I remember to take photos? No! And, ya know, I've decided that it's not a sin because I really am so in the moment enjoying talking and spending time with these folks that I'm OK with not remembering to take pictures. Hope I do better remembering, but if not...well, that will be OK, too. The ship was nothing short of amazing. We had calm seas, partly sunny weather, visited three ports of call, and stitched, relaxed, ate, drank and laughed our way thru the week. A wonderful vacation, and I highly recommend it if you get a chance. Back home means back to work. I feel recharged and energetic...and it's a good thing, too, cause I have lots of work to do. Presently, I am writing the cutting and pattern instructions for my new BOM. Next week, I hope to be cutting and sewing the blocks. Wish I could show it all to you, really I do, but must keep things under wraps for a little longer. 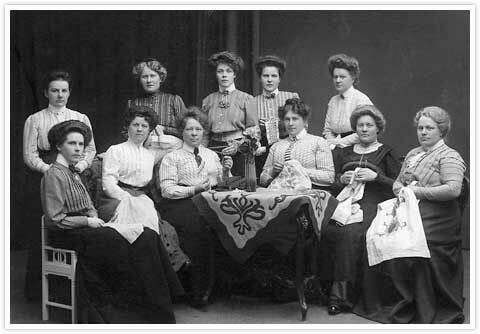 In the meantime, I hope you're all doing well, and I sure hope you get some time to sew a little today. It is...so good for the soul! Beginning Saturday, I am off with a bunch of girlfriends on a week long quilting cruise!! This time I am not the teacher, just the student, ready to have fun with my dear friends. Three of my hometown BFF's and I will join 96 other ladies, some whom are national teachers like me, looking for a fun and sun-filled vacation to the Caribbean to just stitch and relax. Sounds like fun, right? If you've never been on a quilting cruise, you're missing a great time. My pals, Gloria, Vicky and Heather of Old Green Cupboard are hosting this party for teachers Lisa Bongean of Primitive Gatherings, and Stacy West of Buttermilk Basin. If you know Lisa and Stacy's work, then there's no surprise this cruise is all about WOOL and HAND STITCHING!! Yay!!! I can hardly wait. Since I'm on a much needed vacation, and sailing in international waters, I won't be posting here, or on social media, but hope to have some photos to share and good times to report once I get home. Good bye to-do list...hello girlfriends!! My needle, thread and I are about to be reacquainted! Enjoy A Little Evening Shade! 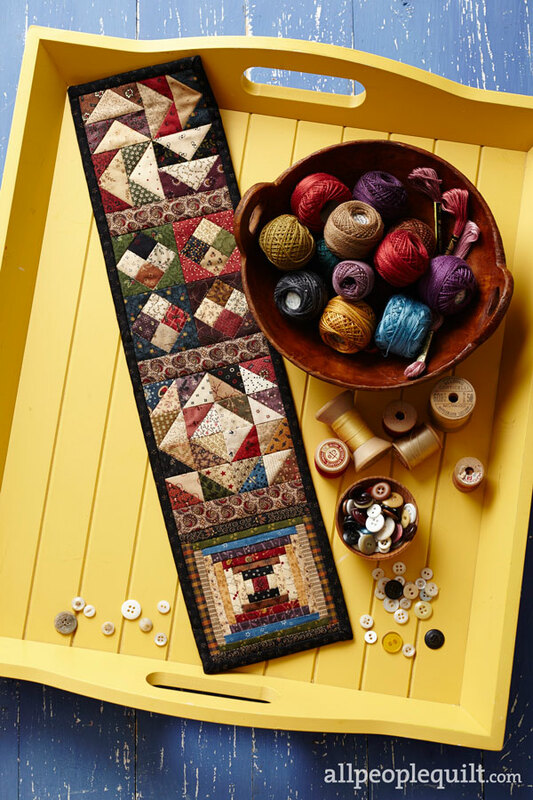 Dream a minute with me, won't you....of a serene little home on a river bank, where you're swinging on the porch swing with this quilt as the sun goes down, enjoying the Evening Shade. That is what I imagined when I designed this quilt, and of course, how it came to have that name. Evening Shade was great fun to piece. 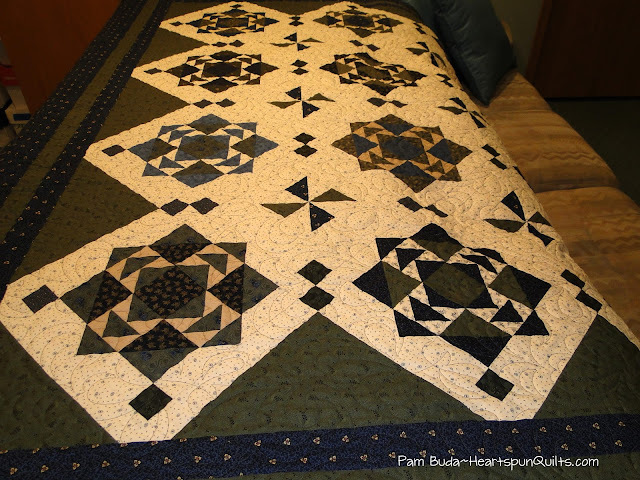 There are 12 pieced blocks with Flying Geese, and 6 pinwheel blocks, that together, create fun movement within the quilt, and have your eyes dancing all around. Love that! 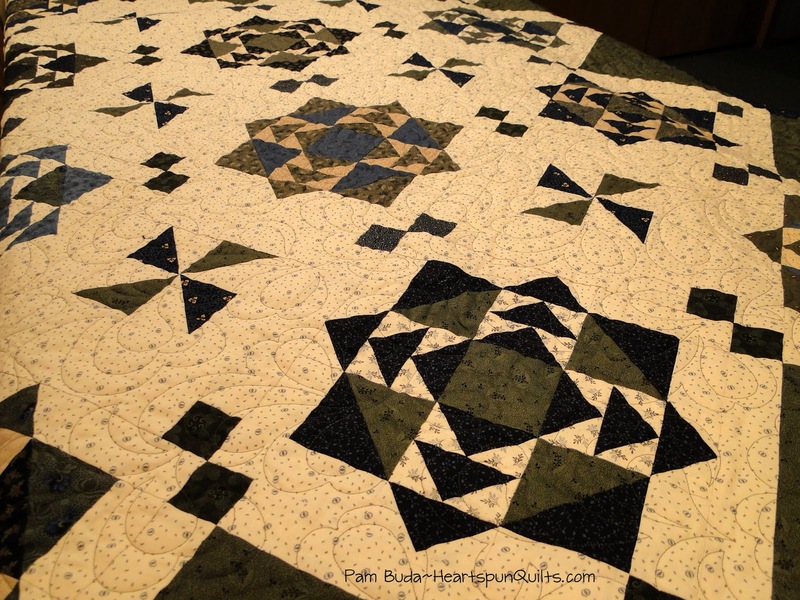 Believe it or not, the 12 pieced Flying Geese blocks are made using all of the fabrics in the 10" precut pack of Old Green Calicos collection. That makes the blocks super scrappy, which I just love. Thought I would show you a few up-close photos of the quilt details. I have a blue and green living room, so Evening Shade just fits right in. I took some low lighting photos so you can see the quilting. I don't know about you, but I adore that little blue and green shirting. So cute! My friend and co-worker, Debbie McClarence pieced Evening Shade for me. Evening Shade was quilted by my friend, Ronda Dranter, in an edge to edge design. 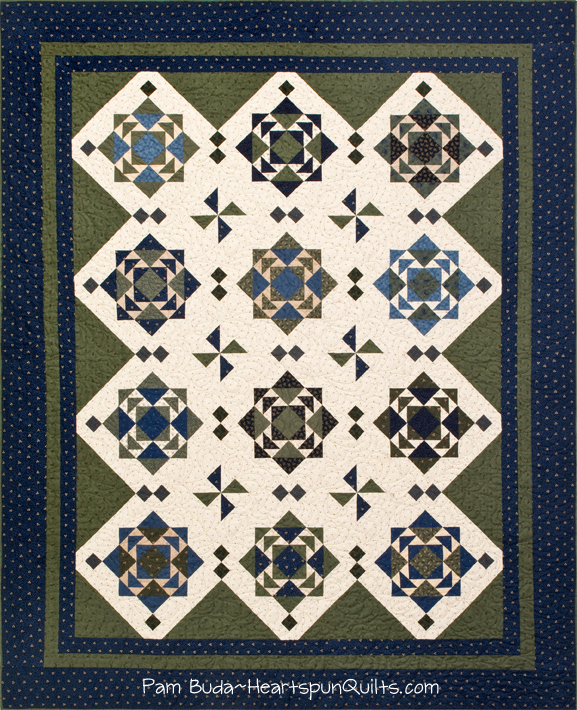 The blocks are 12 inches, and the quilt measures 72" x 89". Please be sure to ask for the pattern and the Old Green Calicos fabric collection at your local quilt shop. If by chance they don't have it, I am once again offering a special PRE-ORDER price on kits for Evening Shade. If you'd like to pre-order a kit, click here to read all the details. Evening Shade kits will ship in March, or earlier if possible. You can order the Evening Shade pattern here. 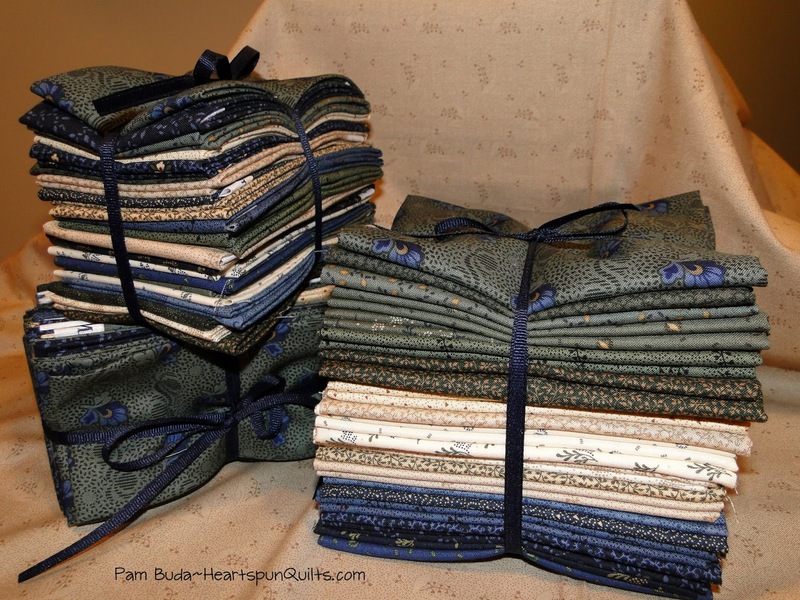 In case you have a different quilt project in mind, or just want to add some green, blue and light prints to your stash, I also have Old Green Calicos Fat Quarter and Fat Eighth bundles, and the 10 inch precut available as well. 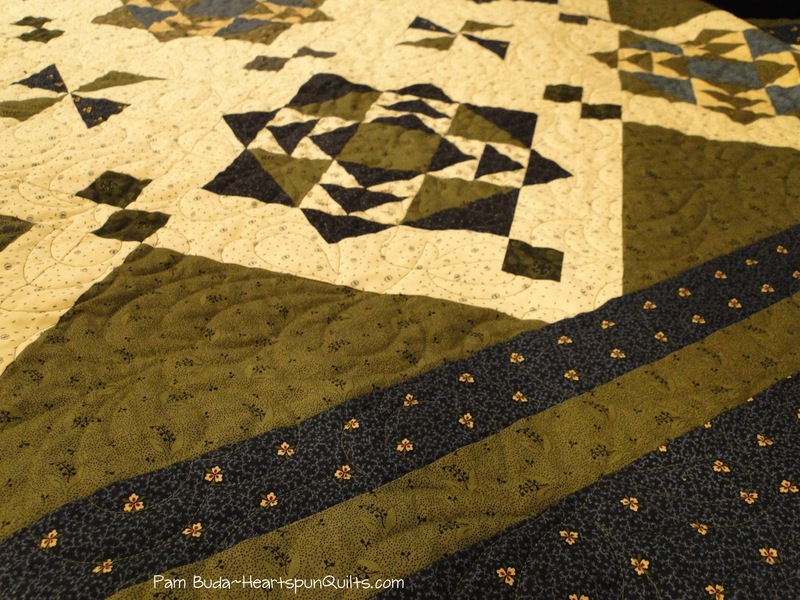 I hope you like my newest quilt design, Evening Shade. Back to work on more inspirations just for you. Enjoy your day.